Love the world we live and eat in. 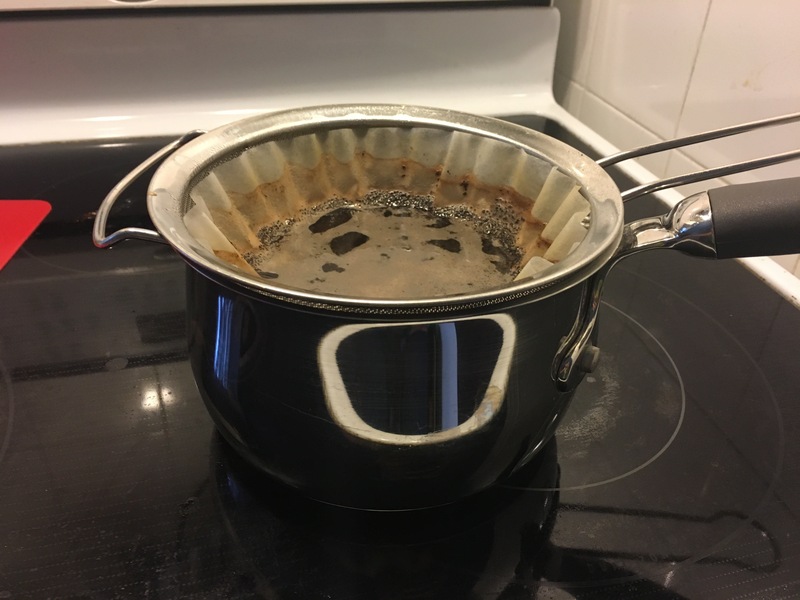 When my coffee maker broke down, this is how desperate I was to have coffee right away. Happy Canada Day! Top 6 Canadian Foods You Have To Eat! On this July 1, Canada will celebrate it’s 150th birthday. For many of you who do not know what our federal holiday is about, it is the day when the provinces and British colonies united under a single Dominion now known as our country called Canada. We have grown as a country with our history with the British and French, and most of all, our native Indian heritage. I remember learning about my country and the pioneers that helped built our lands into the country we are today. As I’m writing this now, I am truly proud to call myself a Canadian. I wanted to share with you the type of food that makes us Canadians very unique. Some of you reading this may have tried some of our delicacies. If you ever have the chance to try some things on the list, you can proudly say you have eaten something truly Canadian! Atlantic Salmon – One of our greatest natural resources is fishing, specifically salmon. Off the Atlantic coast of our eastern provinces, hundreds of ships would set off catching thousands of fresh, wild salmon. Due to increase of consumption, we have had to farm salmon inland to keep up with growing demand. Montreal Smoked Meat – From the province of Quebec, this deli meat has gained popularity ever since it was first created in the bustling city of Montreal. It is made by curing and salting a large beef brisket covered with spices, then smoked and steamed until cooked through. It is best eaten with several carved pieces stuffed into a Kaiser bun, a thin layer of mustard and pickle slices for condiments are a definite must to bring out the tanginess of this large sandwich. Poutine – Also originated from Quebec, this sloppy dish of carbs is one of few that we are truly proud of and one of my absolute favourites. It consists of french fries topped with cheese curds and loads of gravy. Some eat this as a side dish or as a meal itself. I say let your stomach decide if you want it as a snack or lunch. Maple Syrup – What’s the first thing you reach for when eating pancakes? Canadians cannot take full credit for creating maple syrup since it was practiced by the indigenous people of North America (Canada and the USA). However, we can proudly say that the majority of maple syrup is produced mainly from Quebec. The sap from maple trees is slowly extracted then boiled down to its purest syrup form. After a strict filtering process, it produces the sweet taste that runs smooth out of the bottle and onto our plates. Canadian Peameal Bacon is a special type of lean, cured pork loin that is trimmed of fat. It was once rolled in a mix of ground yellow peas before WWII but cornmeal became the better choice. It is a very different taste than the standard strips of bacon sold in grocery stores. Much like our Montreal Smoked Meat, we like to also cook slices of peameal bacon and make a large sandwich out of it. But if you like your standard plated breakfast meal, simply slice a few pieces and pan fry it. If you can’t get your hands on it, perhaps your local breakfast restaurant might carry these on their menu! Ice Wine – Although this dessert wine first originated with the Romans and then with the Germans, Canada has become the largest commercial producer of ice wine today. Depending on the temperatures, ice wine is produced from grapes that are frozen while still attached to the vines. The sugars from grapes do not freeze thus providing a more concentrated and sweeter wine. The Ontario Niagara region is the most common area where ice wine is produced ideally because of the proper freezing temperatures. I don’t usually drink but I cannot help myself to quench my thirst with a glass of ice wine. It is like no other glass of wine you have ever tasted. Sweet and to the point. I would highly recommend all of you to try a small glass with your favourite dessert. It brings out the sweet tooth out of any person. I hope you all enjoyed reading some of the different types of Canadian foods we love to share with the world. If you have eaten any of the above, I would love to hear your comments. Living in the suburbs without a vehicle can be very difficult especially if you need to run errands. My car has been with my mechanic for the past couple of days and if anyone knows how it feels like to be without the luxury of a vehicle, walking to your destination tests a person’s patience. I’ve discovered that the time I spend walking to my destination has given me some time of reflection. I think about what my next blog post would be or what direction I want my food blog to be about. Then I realized that my recent traveling methods is no different than how I write my next food blog post. Walking is a slower place to reach my destination much like writing with a pen and paper. I have more time to think. I see more with my own eyes rather than looking at my phone all the time. I talk more with the people around me. Driving gets me to my destination quicker but I think less and I only see what’s ahead of me rather than being aware of what’s around me. Sometimes I talk less because I’m looking at the road and I’m rushing to reach my destination. It’s a lesson I have learned that sometimes the slower pace will help me focus not just with blogging but in life in general. RESTAURANT REVIEW: SUSHI 168 – Mississauga, Ontario, Canada. Japanese Sushi Buffet. Nothing says Sushi Buffet to bring out the foodie in you! Check out my review on Sushi 168. RESTAURANT REVIEW: The Keg Steakhouse – Mississauga, Ontario, Canada. Looking for a place to eat on a Friday evening? Try one of the best steakhouses around the GTA. 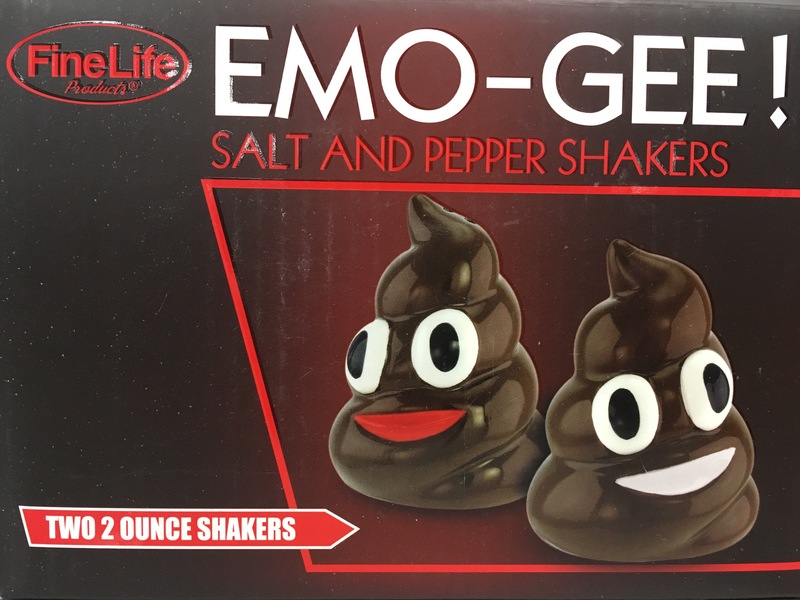 You have been invited to dinner and your host gives you these. Would you use them? Very mixed reviews about this particular restaurant. While they succeed in one area, they completely fail in the other. No filter used on my Iphone. This is the view I see when I go for my morning walk. I try to walk a few kilometres every morning but sometimes it’s nice to stop and take it all in. I hope all of you have a calm and relaxing day. My family visited this branch in Hong Kong after our trip around HK Disney Land. I have heard about this Michelin Star restaurant and their famous Xiao Long Bao. Let me tell you, they do not disappoint. Din Tai Fung’s menu is very easy to order from. Small photos of every dish on the menu provide you with an idea what the food will look like. Each dish is translated into four languages: Chinese, Japanese, Korean, and English. There is also a legend of small icons that helps describe some dishes such as the type of meat or vegetarian recommended, whether it is spicy, or even if it contains nuts. Xiao Long Bao (Steamed Pork Dumplings). Each tray had 6 pieces so we ordered 3 trays for our party of 6 hungry people. On the table is a small instruction pamphlet that shows the proper method to eat dumplings. After reading the pamphlet, I gave it a go. The broth, the pork, and the wrapping all together is like a firework of flavours exploding in your mouth. Slightly salty and great texture is just the sort of taste you expect from a pork dumpling. After finishing a few pieces I felt like it was a new experience for me because I have been eating dumplings the wrong way this whole time! Steamed Shrimp and Pork Shao-Mai. It looks like a wrapped flower filled with shrimp. I ate it the same way as the dumpling and the seafood flavours from the shrimp really comes out. That’s because the size of each shrimp is equal to the proportion of the entire Shao-Mai. Nestled at the bottom of each Shao-Mai is a small parcel of steam pork. Steamed Vegetable And Pork Bun. Inside this dough-filled bun is a mixture of both worlds. I love the combination of veggies and meat so when this showed on the menu I couldn’t resist. Unlike most buns that are dry, this particular dish has a moist texture after every bite. Fried Rice With Shredded Pork. Sometimes the standard dishes are worth ordering. It’s always tasty when they add some egg to the plate for that extra bit of flavour. Sauteed Choy Sum. Crunchy and full of good flavour. I’m not sure the type of cooking they use to stir fry but it is definitely the right kind. Most of all, it’s not swimming in oil nor is it over/under cooked. For dessert, clear your palette with a cold, fresh serving of Almond Pudding With Fresh Fruit or Sago Soup With Mashed Taro. Nothing is more refreshing than finishing off your meal with either one of these two delicacies. 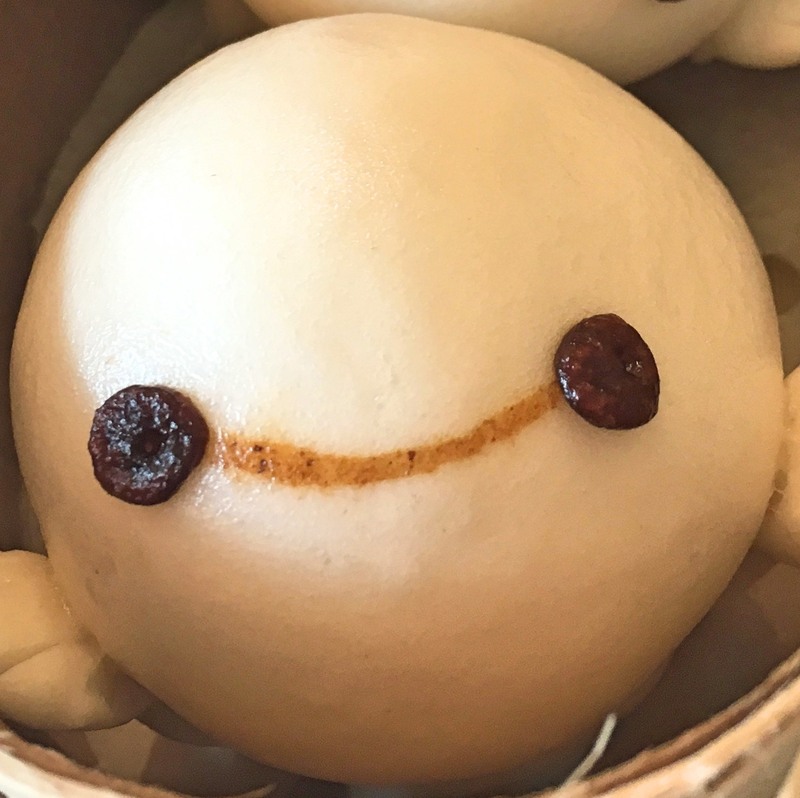 And just for the experience, we ordered up the Steamed Peach-Shaped Red Bean Bun. Not at all dry, extra chewy outside and soft red bean paste on the inside. Just a wonderful dessert overall. What I find most impressive about Din Tai Fung is their fast-paced service. We were a party of 6 eating at peak lunch hour and the food arrived within a good amount of time. Whenever we needed service, we always looked for the floor supervisors and they instructed the servers to follow up quickly. Just before we walked out, I couldn’t help but take a quick picture of the kitchen staff hand-pressing all the Shao-Mai and dumplings. It made me appreciate my meal even more. I love Din Tai Fung! Yes! I have officially upgraded my WordPress plan to a premium account! My official website is now http://www.spicychopsticks.blog. The site will be down for a few short days and until I figure out the design layout, I should have something up and running in the near future so until then, I sincerely apologize for my website’s renovations. I want to thank the WordPress community for providing me with support on the world of blogging. It has taken some time to find my way how I wish to express myself and live the life I see ahead of me but somehow I’m getting there. Most of all, my inspirations and posts are shared with my wife with whom I spend every happy moment with. I thank her for giving me that extra push to start my small world on blogging. The Hangover Burger TGI Fridays @ Glorietta, Makati, Philippines. One way to ring in the New Year One. Big. Oyster! “The Two Alarm Tex-Mex” grilled cheese sandwich ($13) inside The Distillery District 🙌 Get it while the Christmas Market is still on! Croque Madame: Black forest ham, bechamel, melted cheese, topped with a fried egg.